Low cost microwave pulse generator and modulator for simplifying the testing of early warning and radar systems. 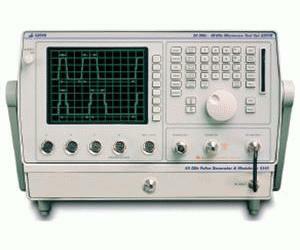 It works in conjunction with the 6204B Microwave Test Set (MTS). It allows the user to generate pulsed microwave signals.